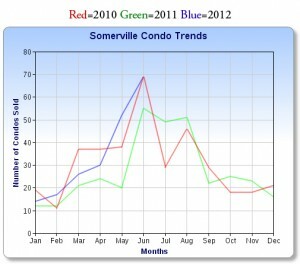 Somerville Summary: June condo inventory reached a new low down 42%. ~ Listing $ volume was down 38% from $66 million to $40 million. 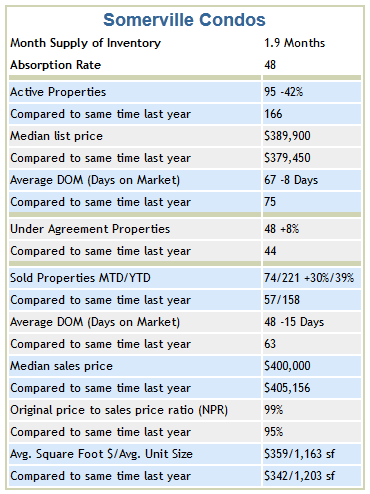 ~ The median list price went up a little over $10K with the active days on market loosing 8 more days. ~ Condos going under agreement increased by 8%. Condos sold for the month exceeded last June by 17% with the year to date sales up 27%. 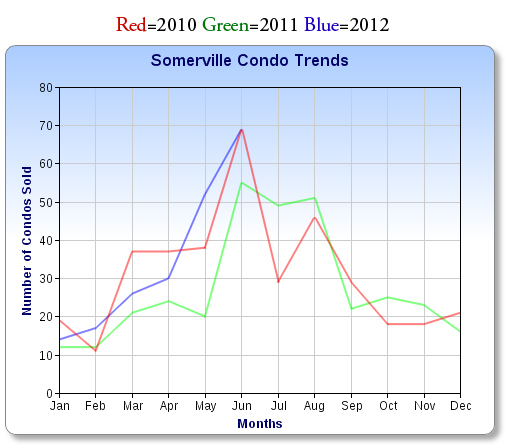 ~ Somerville condo sold $ volume YTD is up 28.7% from the end of June last year. 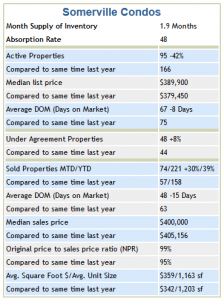 ~ Sold average days on market dropped by over 2 weeks to 48 days. The original price to sale price ratio increased to 99% of the original list price due to competitive bidding. ~ The average square foot price increased by $37 to $357 per square foot with the average condo living area at 1,294 square feet.